Gertie's New Blog for Better Sewing: My Stitch-Along at the STC Craft Blog! My Stitch-Along at the STC Craft Blog! Fun news, readers! I'm doing a Stitch-Along on the STC Craft blog. 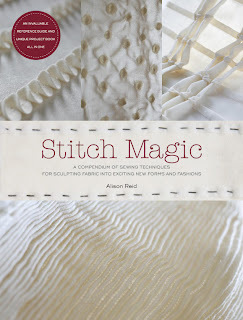 I took the book Stitch Magic by Alison Reid as my inspiration, and each week we're going to try out a different fabric manipulation technique. We'll start with quilting next week and then go on to pintucks, pleating, cording, and smocking in the following weeks. And, of course, I'll talk about ways to use these techniques to spice up your garment sewing. Come read the post for all the details and supplies you'll need. I hope you'll join in! What do you say? Sounds great... Looking forward to learning about pintucks and smocking! Great idea! I'm looking forward to it. This is a great idea! I'm specifically looking forward to the quilting post. 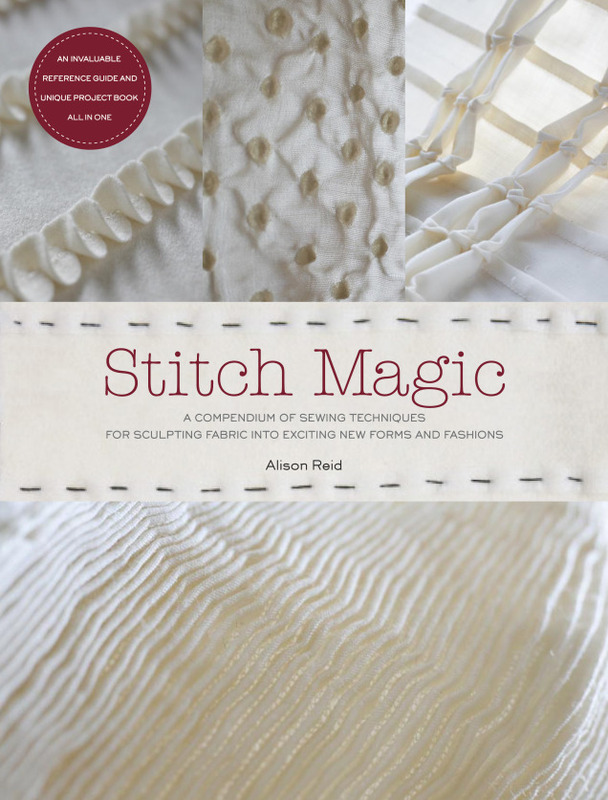 I think this book is primarily about hand stitching but will you be covering machine techniques as well? There are a walking foot videos floating around youtube, but I would love your take on using the walking foot to quilt. This is a wonderful idea. I am looking forward to following along. The ironic thing is, just this morning before I knew you had done this post, is I was thinking that I should probably take the time to go through the techniques in The Art of Manipulating Fabric. I didn't know about Stitch Magic. I won't be able to actually do it myself just yet since I am very close to having my baby, but hopefully I can jump in soon. Regardless, I will enjoy and learn much from reading your posts. I am so happy that you are doing so many exciting projects to help us all learn together. Thanks, Gertie! I'm looking forward to stitching along. Count me in - I've always wanted to learn smocking, now's my chance! Sounds like such fun, can't wait! I can't wait! I've always wanted to learn some of those 'old fashioned' techniques, but I've never bothered to go and hunt down a 'how to' myself... Thanks Gertie! You must be reading my mind! The Art of Manipulating Fabric is actually in my cart right now (has been for a few days) on my fave bookseller website. Oh yay! I love learning all these wonderful things you offer, you are so talented! I'm in. what a great idea. @ Irene...lol, I never would have thought about putting an item into the shopping cart and going back later to purchase. Great idea! Helps cut down on impulse buying. Yay, I'm in! For some reason I find it easier to try new things when they׳re presented in bite size portions so clear and pretty :) inspiring!